Kochanski Zieba & Partners (acting as Polish counsel), Cliffe Dekker Hofmeyr (as South African Counsel), and Pinsent Masons (as UK counsel) advised Redefine Properties Limited on its acquisition of a majority stake in Echo Prime Properties B.V. The seller was advised by Weil, Gotshal & Manges. The deal, concluded on March 1, 2016, consists of a share purchase and subscription agreement with Echo Investment S.A. (“Echo”) and EPP whereby Redefine will acquire 75% plus one share of the issued share capital of EPP, which indirectly owns a portfolio of prime real estate assets throughout Poland. According to Redefine’s release on the deal, it is its intention to reduce this stake to approximately 50% through the immediate on-sale of a portion of the EPP shares to a consortium of selected co-investors, on the same terms as those governing Redefine’s acquisition of the EPP shares. The total consideration payable by Redefine for the EPP shares, according to Redefine “shall be an amount equivalent to 75% of: EUR 1.188 billion; plus the amount of working capital held by the EPP group immediately prior to the effective date; plus the cash held by the EPP group immediately prior to the effective date; minus the amount of debt held by the EPP group immediately prior to the effective date.” The estimated result is of approximately EUR 362 million. In addition, there is a mechanism in place in terms of which EPP will pay an earn-out to Echo in connection with planned GLA extensions to the properties within the property portfolio at an initial yield of 8.5% (with an estimated total value of approximately EUR 60 million). In this regard, EUR 9.775 million is payable by EPP to Echo on the effective date, in the context of an already-completed extension and in respect of which Redefine will pay EPP its pro-rata portion of the amount due, calculated with reference to its shareholding. The K&P team advising Redefine on Polish matters was led by Adam Piwakowski, Partner, Head of International Practice Development and Strategy. 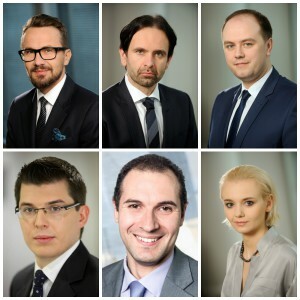 The team also included Co-Managing Partner Rafal Zieba, Senior Partner Rafal Rapala, Partners Kamil Osinski and Szymon Galkowski, and Senior Associate Aleksandra Polak. The Weil team advising Echo consisted of Warsaw-based Partners Pawel Zdort and Iwona Her, Counsel Ewa Bober, and Associates Filip Uzieblo, Piotr Fedorowicz, Jakub Kutzmann, Tomasz Bakowski, Leszek Cyganiewicz, Wojciech Czyzewski, Karolina Janus, Irmina Trybalska, and Maciej Wroblewski, and London-based Partner Samantha McGonigle and Associate Tomasz Rodzoch.